Dental bridge work is usually done for older people, or when the costs need to be kept down. In every other case crowns or implants are recommended. During my work, I meet a lot of puzzled patients, asking for advice. Let’s see why. Here is some information I think you may find useful. A tooth bridge is a fixed prosthetic device that is cemented onto existing adjacent teeth or implants, and can only be removed by a dentist. Dental bridges are usually recommended if you’re missing several teeth, as gaps can eventually cause a bad bite, or can lead to different kind of gum diseases. 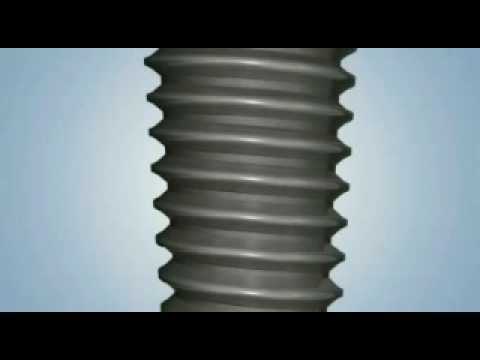 How is a teeth bridge installed? The bridge dental procedure is as smooth and fast as an ordinary crown procedure. After reducing (filing down) the adjacent teeth, your dentist takes an impression to provide an exact mould for your bridge teeth. A dental laboratory then produces your bridge, using the material you desire. During that period, a temporary bridge is placed over your prepared teeth. 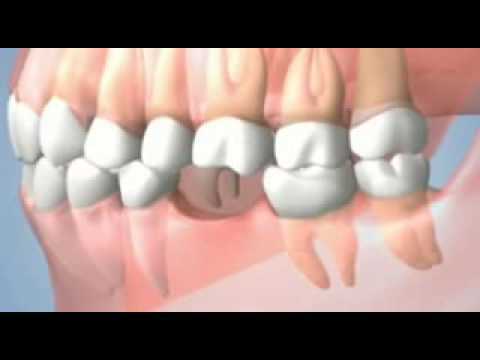 Dental bridges are cemented to the natural teeth or implants next to the empty space/gap. They function as anchors for the bridge. What types of bridges can I get? Traditional bridge (fixed): This is the most commonly used type of bridge. It is anchored to adjacent teeth or implants. These kind of bridges are not removable. Resin-bonded bridges (Maryland-bonded bridges): These are often chosen for front teeth, or when the tooth is not strong enough. In this case, the false tooth is fixed with the help of metal bands. 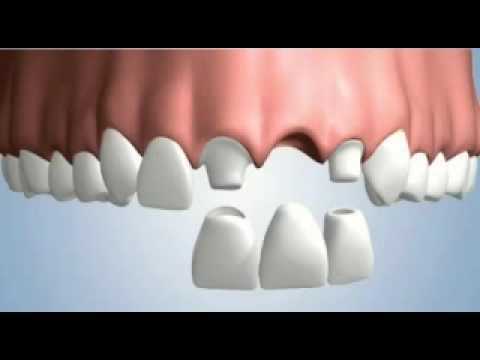 Cantilever bridges: These are used when there you have teeth in only one side of the space. In this case, the false tooth is anchored to one or more adjacent teeth in one side. What are these bridges made of? Full cast gold: this is the longest lasting of any of the laboratory-processed materials, but the colour is not very aesthetically pleasing. Full cast noble: this is usually made of palladium plus silver, gold, and other trace metals. The color is silver. Porcelain Fused to Gold: where the gold substructure is covered with porcelain. This looks like your own tooth. All Ceramic or All Porcelain (also mentioned as Zirconia): this is probably the nicest solution, they look very realistic. Your cosmetic dentist can always help you to decide which to choose. 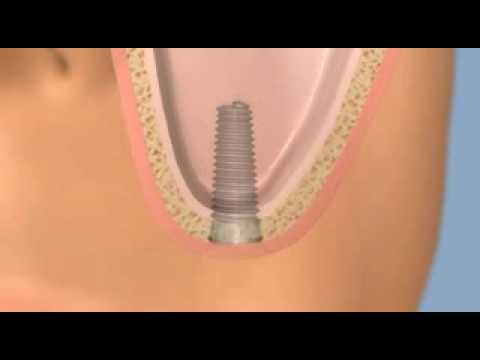 Generally implants need bone and space around the implant to work well. If the gap is much smaller than the tooth requires, it’ll look terrible. Some people simply don’t like the idea of bridging work, because it would damage the adjoining ‘good’ teeth. Usually the entire bridge needs to be replaced, if there is a problem with any one of the teeth involved in the bridging procedure. Dental implants help to preserve the jawbone. While under a bridge, the bone where you have the missing tooth can shrink over the years. However most of us are afraid of the complications, when placing permanent metal parts in our body. It is really hard to make a crown look like if it is growing out of the gum, while implants do give you that illusion. You may choose a bridge in case one of your adjacent teeth needs a crown anyway; this would save you a bit of money. A dental bridge cost is always lower than the cost of a dental implant, also , insurance companies don’t cover the implant costs. To prevent damage to your bridge, you should avoid chewing on hard food, ice or other hard objects, such as nails or pencils. If good oral hygiene is applied, your bridge will last a lifetime.